YouTube - Snake Discovery covers the housing, substrate, diet, behavior, maintenance, and more for keeping American toads. In a nutshell, they’re super easy and can make great additions to an amphibian collection. Frog Forum - Check out these amazing field herp photos of American toads collected over the past year. Captive Bred Reptile Forums UK - A pair of Rococo toads (Rhinella schneideri) put on great cranky faces for the camera. 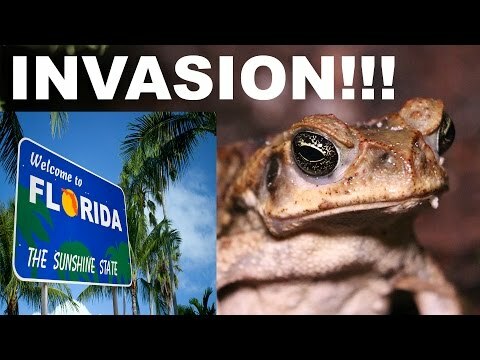 YouTube - Cane toads are all over south Florida. Jason Miller talks about how invasive they have become and what can be done to slow them down. Frog Forum - Some good looking fire belly toads are seen enjoying their nice enclosure in these pictures and videos.